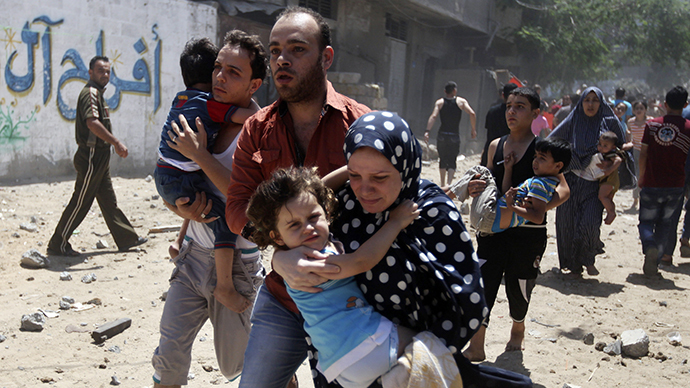 Hamas says it’s likely to reject an Egyptian ceasefire proposal for the current Israel-Gaza conflict. The militant group said it had not officially received the text of the agreement, but believed it to be "an initiative of kneeling and submission." The Egyptian backed plan wanted to establish a truce between the two sides, which would start at 06:00 GMT on Tuesday. This would be followed by a 12-hour ceasefire, Egypt’s state news agency reported. 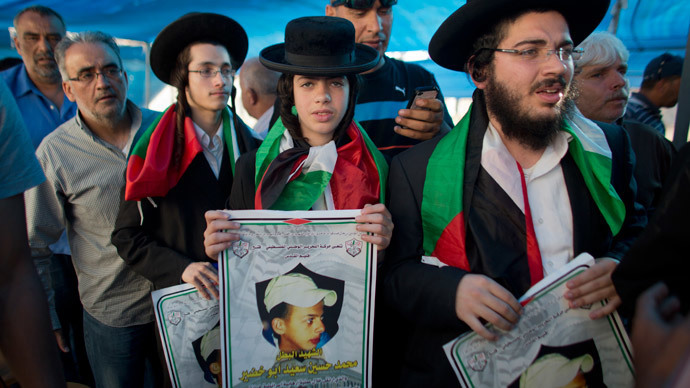 The al-Qassam Brigades appears unwilling to go to the negotiation table, quashing any hopes for a lull in tensions. Egypt had hoped a truce would be followed by negotiations in Cairo in 48 hours which would be attended by both sides, AFP reported. Following this, Cairo has proposed the opening of border crossings and negotiations on the solution of the crisis. The proposal was discussed in the framework of the Arab League meeting of foreign ministers on Monday. On Tuesday morning, three rockets were fired from Egypt towards the southern Israeli resort of Eilat. 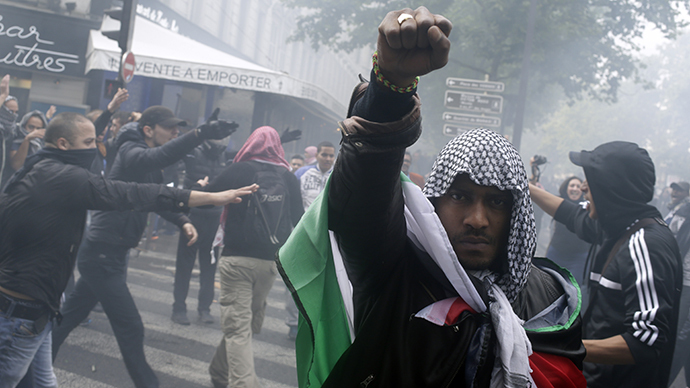 Four civilians were injured, according to Israeli security officials. They added that they believed the rockets were fired by Islamist militants in the Egyptian Sinai in an attempt to derail Cairo’s efforts to mediate a truce between Israel and Palestine and put an end to the week-long shelling of the Gaza Strip. Israel's security cabinet will also convene on Tuesday morning, two hours before the truce comes into force, to vote on the proposal, a senior minister told Haaretz. “This is a basic proposal that can be accepted as a starting point and after that further discussions on the specifics can be held,” the minister said. 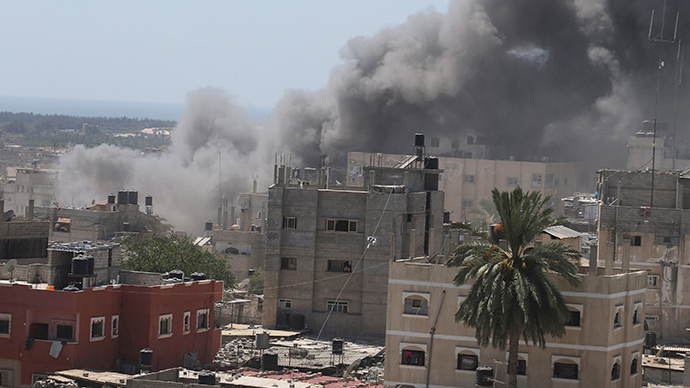 In a televised address, Hamas leader Ismail Haniyeh praised the role of Hamas fighters and denounced the Israeli bombardment of the Gaza Strip. Haniyeh confirmed that there are "talks" of a ceasefire between Israel and Hamas, but gave no clear indication that a truce deal has been agreed with Tel Aviv, Middle East Eye reports. 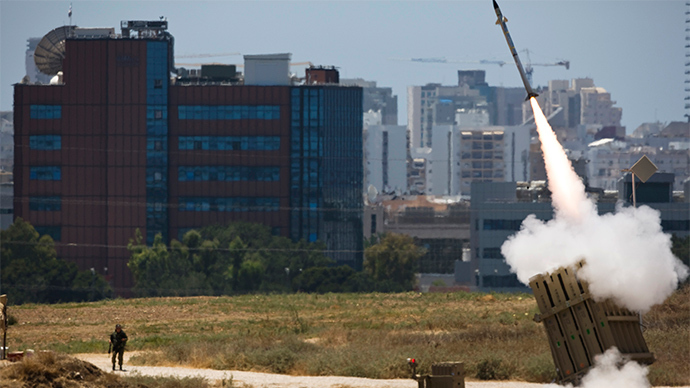 At the same time, a rocket from neighboring Lebanon has been fired on Israeli territory. There have been no reports of casualties. On Monday, Secretary-General of the Organization of Islamic Cooperation (OIC) Iyad Ameen Madani launched an appeal to international organizations to provide urgent humanitarian aid to the Palestinians in Gaza.